I was in love with two things on my wedding day: my newly acquired husband … and my eyelashes. My friend Lacy, the queen of make-up, recommended MAC eyelashes for my big day. During our pre-wedding trial run of my make-up, she gave me a quick tutorial of how to apply them. I had always loved the look of false eyelashes, but had been intimidated by the process. I instantly fell in love the the MAC lashes – they looked defined, yet natural. However at $13 a pair it seemed like nothing less than a luxury after my wedding day. That was, until I discovered Ardell Eyelashes for under four bucks. They have all different styles, but my favorites tend to be the less flashy versions. • You can re-wear them! In fact, I always like them a little better after I’ve given them a night out on the town (by then they’ve been molded to fit your eyes perfectly). • They’re my secret weapon to taking good photos. Actually, 95% of the reason I wear them is because I like how they look in photographs. • Always bring the glue with you. Typically this is never an issue, but the one time I left the house without it, was the one time one of them actually started coming off. Don’t be the embarrassed girl with one big eyelash and one small one. And Laura, one of my bridesmaids, wearing the exact same kind… So much more prominent (and oh so lovely)! Allure’s Top Eight Eyelash Looks from 2009. I have very little criss-crossy lashes. I have tried all the crazy tools (Shu Uemura curler, Diorshow, almost EVERY MASCARA BRAND UNDER THE SUN) but still sad little lashes. I have never experimented with the falsies for fear of looking like Elvira, but I’ll have to check these out! Anyone know where you find them? 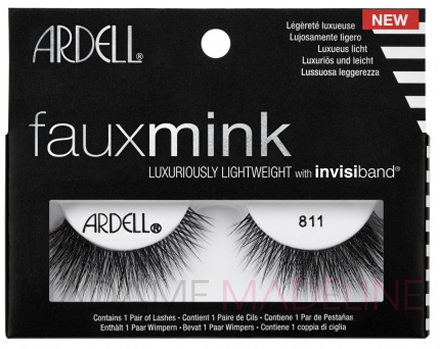 Wow Ardell #110 lashes look really natural. As a lash fanatic and hundreds in my lash box, I would love to own a pair or these. Ardell and NYX falsies can be found in national drugstores such as Walmart, WalGreens, Target, Rite-aid, etc. They can also be found in selected beauty stores such as Sally Beauty Supply. I get my Ardell lashes from madamemadeline website. Some shorter natural styles I recommend are Ardell 108, 110, 135. Red Cherry 01 is my other favorite. I attended my best friend’s wedding. Shirley, our close friend and make-up artist, put a pair of Ardell lashes on me. The style was Ardell Invisibands Fairies. The design is very pretty, fluttery, and natural. It’s made of real human hair, so it looks very real, like I have naturally long lashes. I got compliments left and right and some people do not know they are fake until I tell them. It’s comfortable to wear and also gives a very natural look. The pair of lashes stayed on beautifully for the entire duration of the wedding. I’m completely addicted to fake eyelashes and I love my Fairies Lashes. I can not fid Ardell and NYX false eyelashes locally but did find Salon Perfect False Eyelashes at my local CVS which look very similar to the above Ardell Fashion Lashes #110. I was once told they are made by the same company? SuperMommy: Yea, they are made by the same company. The Salon Perfect #110 I got from Wal-mart is the exact same lashes as Ardell Fashion #110 Lashes. 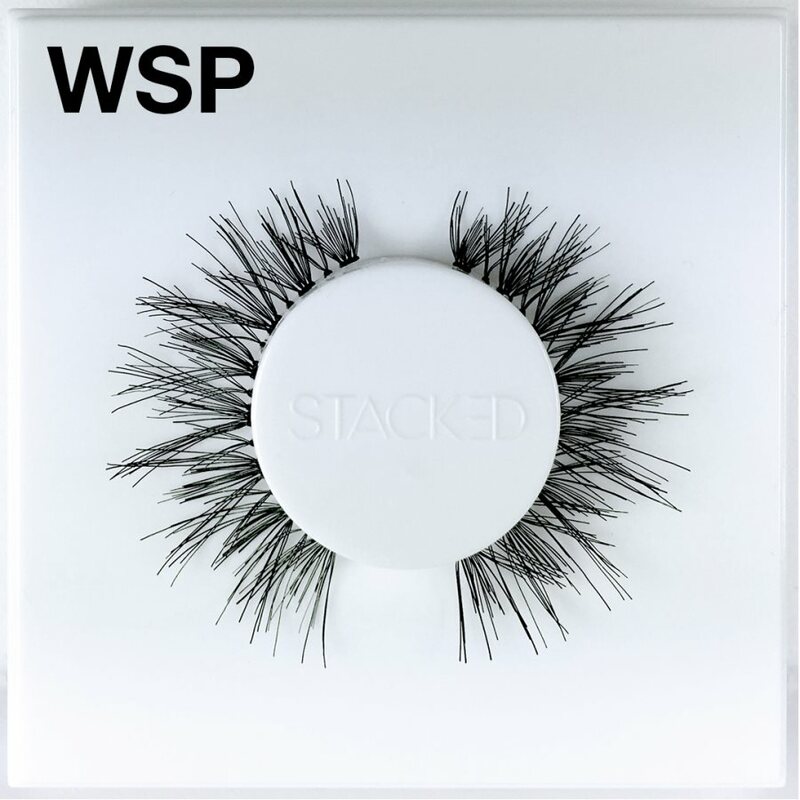 Salon Perfect #53 is also the exact same lashes as Andrea Modlash #53 Lashes. Ardell Lashes is a bit more affortable online. I get my from MadameMadeline.com Always make sure to use coupons at checkout for additional savings. See http://www.tjoos.com/Coupon/101131/Madame-Madeline for coupons. I’ve been looking for a good company for lashes! You’re so right that the ones you buy from MAC is pricey.I gonna check em out! I’m getting married in October and I’m trying to figure out what I want my makeup to look like. I haven’t worn a lot of false eyelashes in my time so I hope someone can help me out. Should I wear full strip lashes, individual lashes or half lashes on my wedding day. I want to emphasize my eyes but I don’t want them to look drag queen-ish…Oh, and which brands are best? I see a lot of posts recommending Ardell and Andrea…are these pretty good?